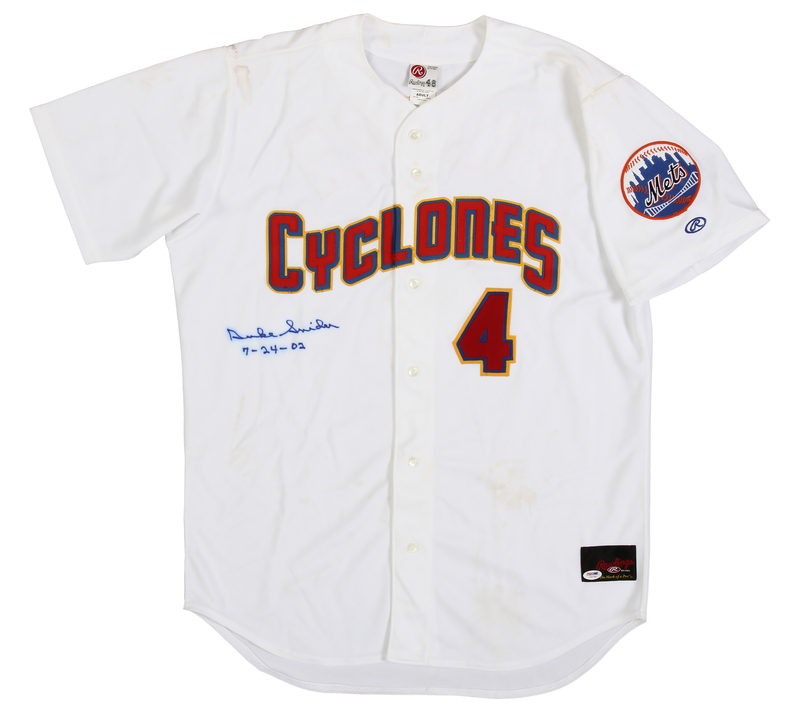 Brooklyn/Los Angeles Dodgers icon and Hall of Famer Duke Snider was honored by the Brooklyn Cyclones, the minor league affiliate of the New York Mets, on July 24, 2002. 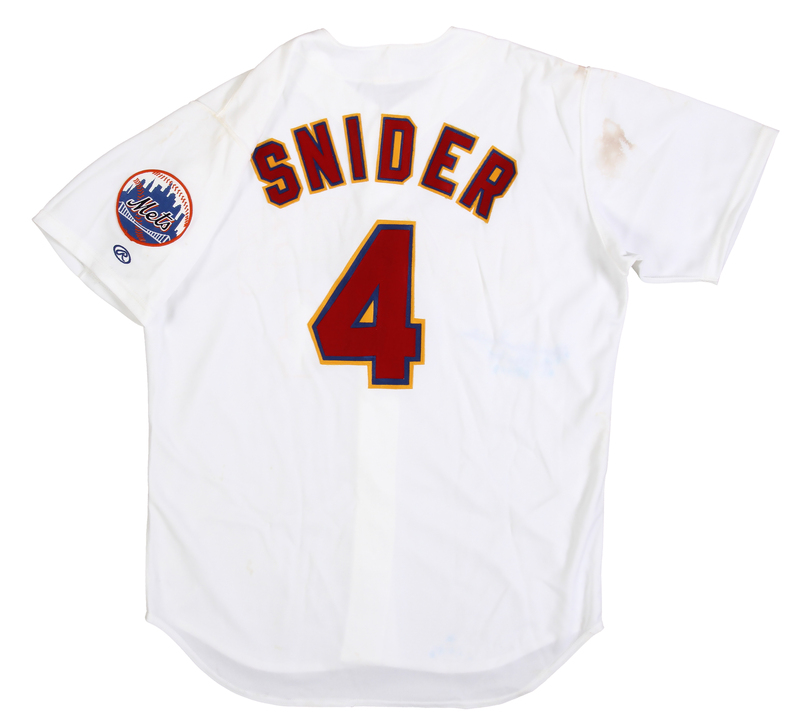 As part of the honor, the great Snider threw out the first pitch donning a Cyclones jersey made for him with his number “4”. This jersey was worn by Snider for this occasion and he signed his name and inscribed “7-24-02” in bold blue marker on the front of the jersey. 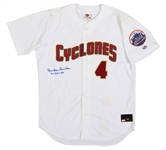 The jersey itself has “CYCLONES” sewn on in red, blue, and yellow tackle-twill across the chest and the number “4” sewn on in the same color pattern on the center right chest below the team name. 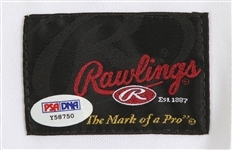 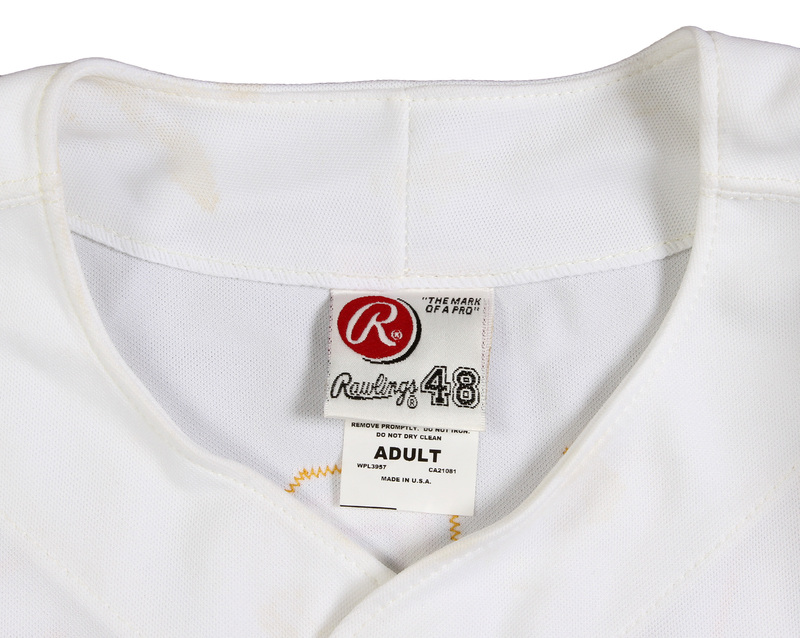 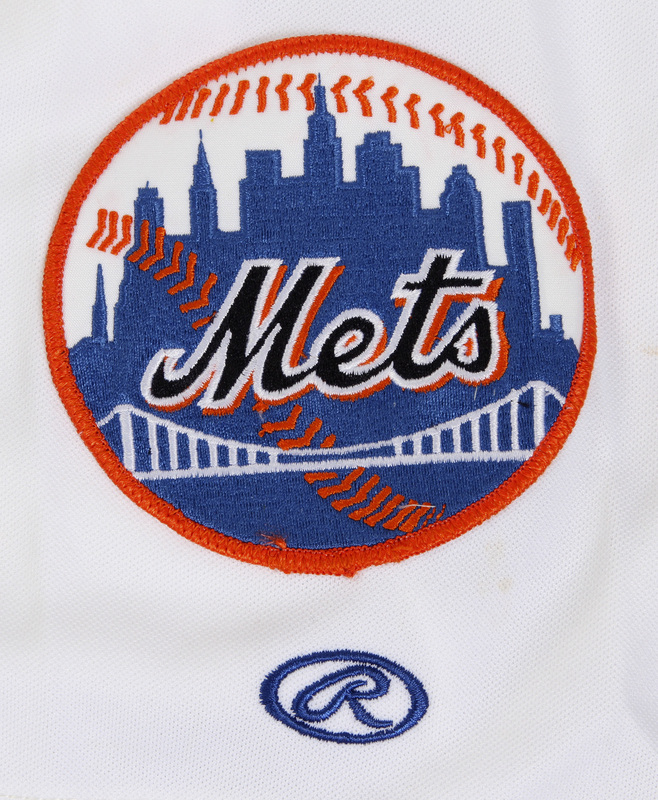 “SNIDER” and “4” are sewn on the back of this size 48 Rawlings jersey and a New York Mets logo patch is sewn on the left sleeve. 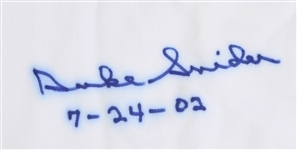 Snider’s signature and inscription come with a COA from PSA/DNA (Y58750).